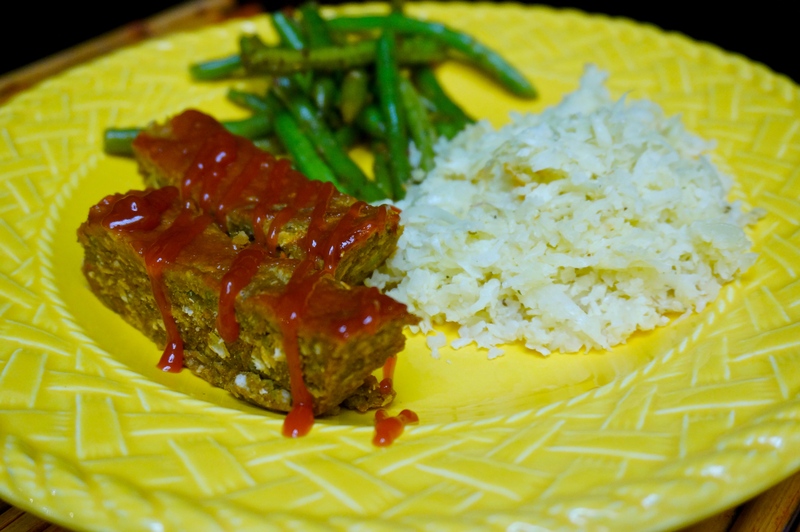 I’m obsessed with Meatloaf. It is the #1 thing I miss most since going vegan (on 11.1.12 after watching Forks Over Knives). I have no clue where this meatloaf obsession came from (no one else in my life shares this intense affinity for it).I’ve been weary to try a vegan Meatloaf recipe for fear of it not living up to the real thing but I received a couple of vegan cookbooks for Christmas and the Meatloaf recipes prompted me to give it a go. Of course I forgot to write down the recipe from my new cookbook before heading to work, so I ended up googling a recipe so I could pick up the ingredients on my way home. It turned out pretty good! 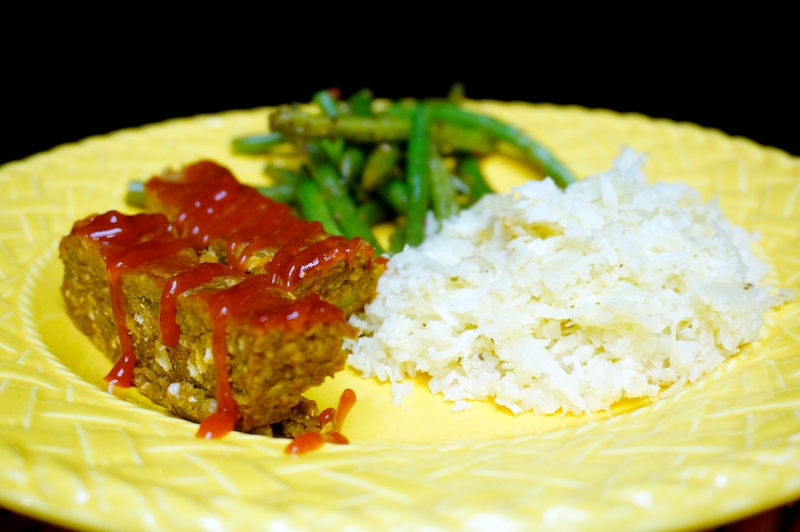 Not quite the bacon wrapped Sirachi infused turkey meatloaf I used to make, but definitely repeatable. The consistency was perfect (since there is no meat you don’t have that “is it cooked/firm enough” dilemma you face with true MEATloaf. 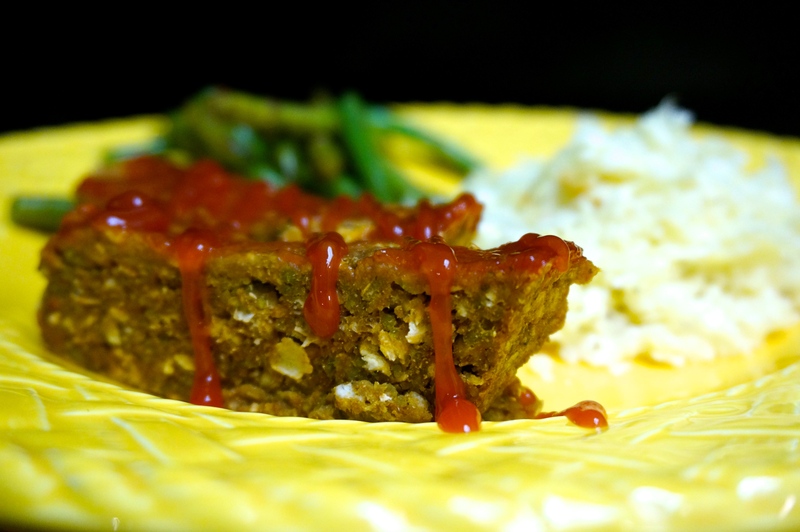 I pulled this recipe from a blog I just discovered: Hungry Hungry Hippie she calls it “Mushroom Meatloaf”. For a side, I made Cauliflower Rice and baked green beans seasoned with Kirkland Organic No-Salt Seasoning from Costco (we blow through so much of that stuff!). I’m so glad it turned out Dana….sign of a real multi tasker mom…making dinner Van on the counter…and you holding his blanket..classic! Hey didn’t know your family was doing this. This is great! I love it.